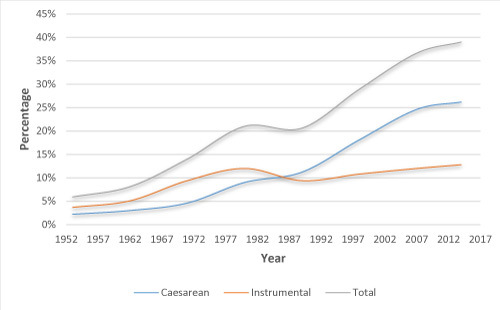 There has been a dramatic increase in the rate of operative delivery in the last 50 years, mainly owing to the increased rate of caesarean section over the last 30 years. 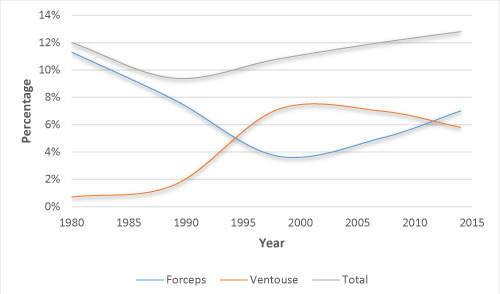 This may be, in part, caused by the increased use of continuous electronic fetal monitoring, epidural anaesthesia, the increase in fetal size and the increase in maternal complexity. Instrumental delivery rates in the UK have remained stable at 10–13%.